Aymara Indian street vendor Juana Ilasanca sets up her shop in the outskirts of La Paz, Bolivia. Calls for independence are becoming a major election issue as the country heads to the polls this Dec. 18. 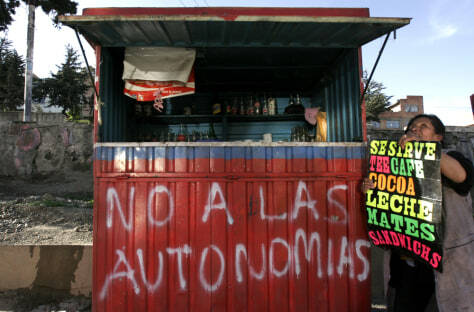 The graffitti reads "No to the Autonomy."